For some reason Hasbro is including action figures of different scales and other items in its Marvel Legends sub-brand, and Toyland has the scoop. Alongside the new 12″ Iron Man and Captain America action figures, this new Legends line will also include life-size accessories fit for role play. The first such collectibles are Cap’s shield and Iron man’s helmet. Each replica will cost $100 (USD) and appear to be reasonably detailed. 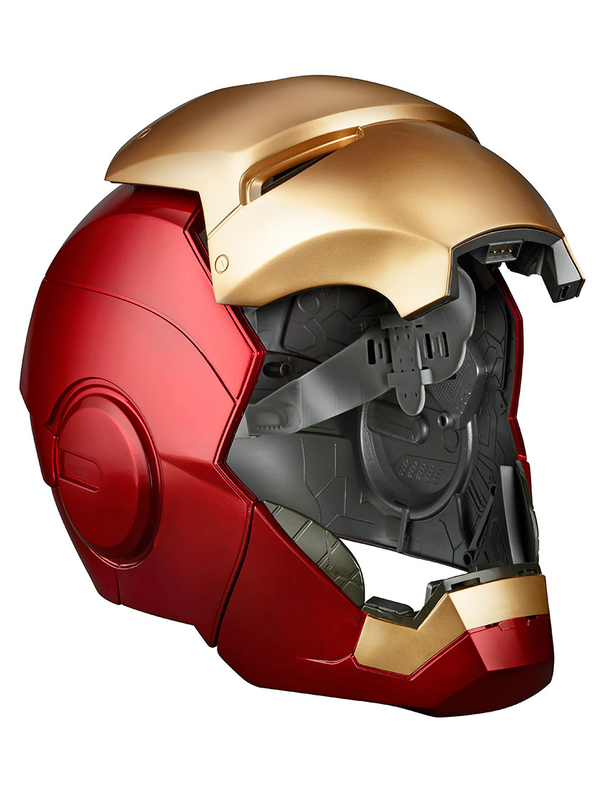 In addition, the Iron Man helmet has light up parts that need to be powered with three AAA batteries. The replicas should be available this fall.